Sol Messinger doesn’t like to talk about his childhood, but he forces himself to because he thinks it’s important that people know what he survived. 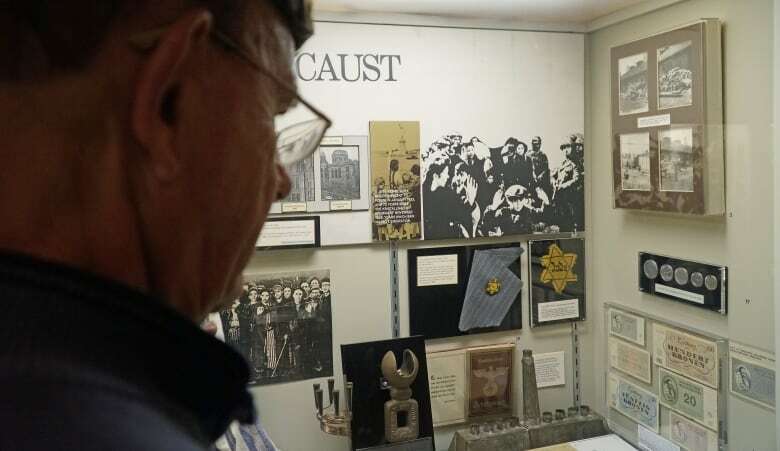 Born in Germany in 1932, Messinger is the child of Polish immigrants who had moved to escape the growing anti-semitism and deteriorating economic situation in Poland. They had no way of knowing then that, like so many others before and during World War Two, they’d soon be running for their lives. As the situation worsened in Germany, Messinger and his family were among a group of 900 Jews who secured passage out of the country in 1939. Their ship, The MS St. Louis, was headed to Cuba. Every passenger onboard had paid for visas to settle there, and many already had family waiting for them in Cuba. They made the two-week voyage safely, but despite doing everything right, they’d never set foot on the island. The ship’s captain tried to reassure his passengers, but after a few days of uncertainty he informed them that Cuba had reneged on its commitment to admit all but 29 of the refugees. Cuba revoked the visas of the rest of the passengers and refused to allow them to disembark. Negotiations to settle the refugees elsewhere began immediately, but the United States refused to accept any passengers. And on Wednesday, Prime Minister Justin Trudeau will offer a formal apology in the House of Commons for Canada’s refusal to offer sanctuary. Messinger will be in Ottawa to witness it first hand. Although he welcomes the Canadian apology, Messinger adds that it doesn’t erase any of the pain of what his family experienced. “Emotionally, I can’t say it [the apology] does anything for what we went through, but intellectually I think it’s a good thing,” he says. Messinger is one of the few remaining survivors of the MS St. Louis who is old enough to really remember the voyage. 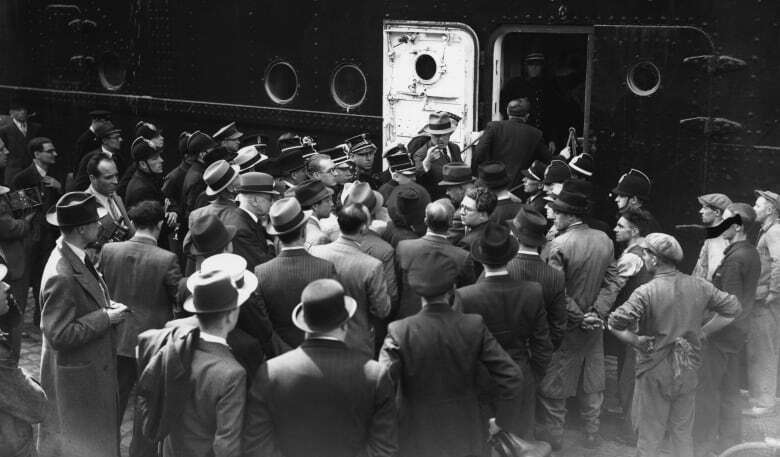 Refugees arrive in Antwerp on the MS St. Louis on June 17, 1939, after being denied entry to Cuba, the United States and Canada. (Hulton Archive/Getty Images)​​Messinger was just six when his father was arrested in his home and deported back to his native Poland. He says the incident made his parents decide they had no choice but to try to leave Europe as soon as possible. In fact, Messinger’s mother was able to secure visas for her family as well as passage on the MS St. Louis, but she refused to leave Germany without her husband. 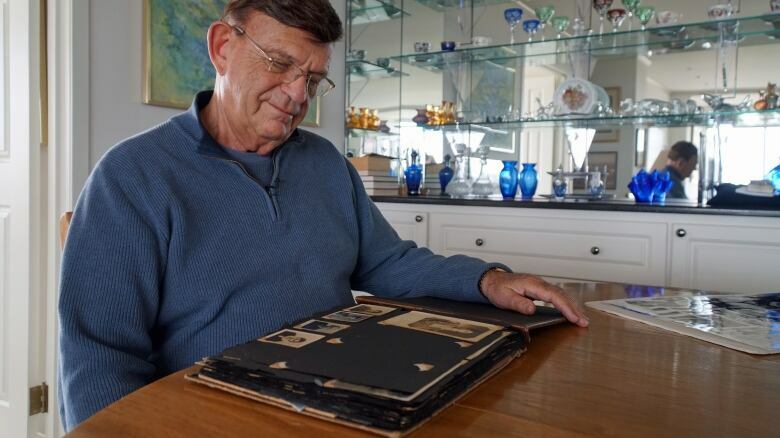 As fate would have it, Messinger’s father managed to slip back into Germany to get on the MS St. Louis with his family, and they departed together in 1939. Messinger and his parents got so close to freedom that he even remembers spotting his extended family on a small boat near the ship as it anchored in the Havana harbour. After the ship was refused entry and headed back to Europe, Messinger said the captain deliberately took his time getting back, sailing across the coast of Florida. He was sure that a country in the region would relent and accept a ship full of refugees headed back to a war zone. After several weeks in limbo, four European countries agreed to take the ship’s refugees — England, France, Holland and Belgium. Messinger’s family was sent to Belgium. They landed there in June of 1939 and immediately set out for France on foot. Police guard the gangway as officials board the German liner MS St. Louis on its arrival in Antwerp on June 17, 1939. The ship had been at sea for more than a month at that point, carrying 937 mainly German-Jewish refugees from Nazi persecution. (Gerry Cranham/Fox Photos/Getty Images)The family made it as far as a little village in the Pyrenees, where they lived among its residents. The voyage was arduous and dangerous, and Messinger says those memories are still vivid in his mind. Although the family lived in relative safety for months in France, in October of 1940 they were arrested and sent to a detention camp. ​​Messinger and his mother were again separated from his father there. They slept in barracks on the ground without blankets, were infested with lice, and went hungry. On Christmas Eve, Messinger and his mother escaped the camp. A few days later, his father did the same. Messinger says his parents took advantage of the guards getting drunk on the holidays and relaxing their watch. The family returned to the French village they were in before, and resumed their efforts to secure a visa out of the country. Since they were in a part of France that still had diplomatic relations with the U.S., they were eventually able to get visas and make their way to a ship in Portugal to set sail for New York. “We got to New York on June 24, 1942, which I celebrate as my second birthday. For good reason, because I was really reborn that day,” he says. 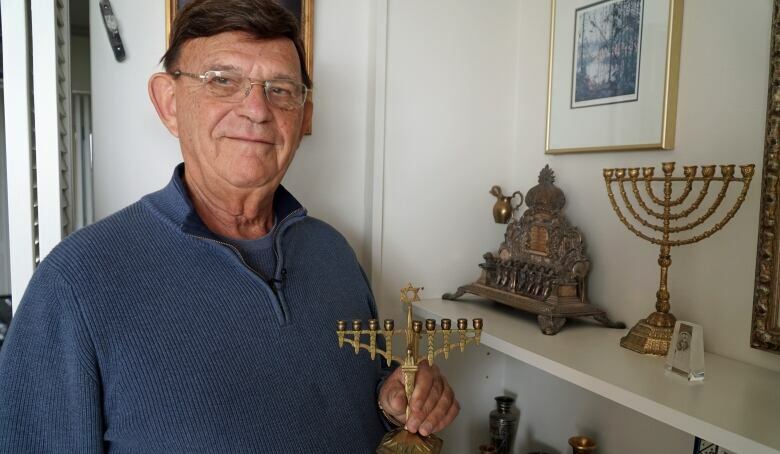 Messinger holds a menorah that his family took with them when they fled Berlin in 1939. They managed to hold on to it throughout their journey until they reached the U.S. in 1942. (Perlita Stroh/CBC)​​Messinger and his family eventually settled in Buffalo, with members of their extended family, and he went on to enjoy a successful career as a pathologist. 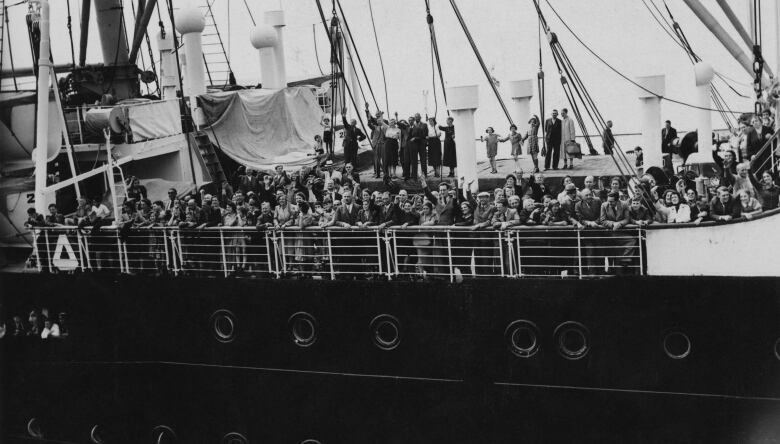 Of the Jews who were turned away from Cuba on the MS St. Louis, 288 of the lucky ones were sent to England. Another 87 managed to leave Europe in 1940. Of those who didn’t find sanctuary, 278 survived the holocaust and 254 perished in concentration camps in Europe. Messinger knows just how lucky he and his family were to survive.